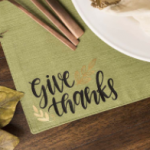 You are here: Home / Tutorials / What Is Cricut Reverse Canvas? 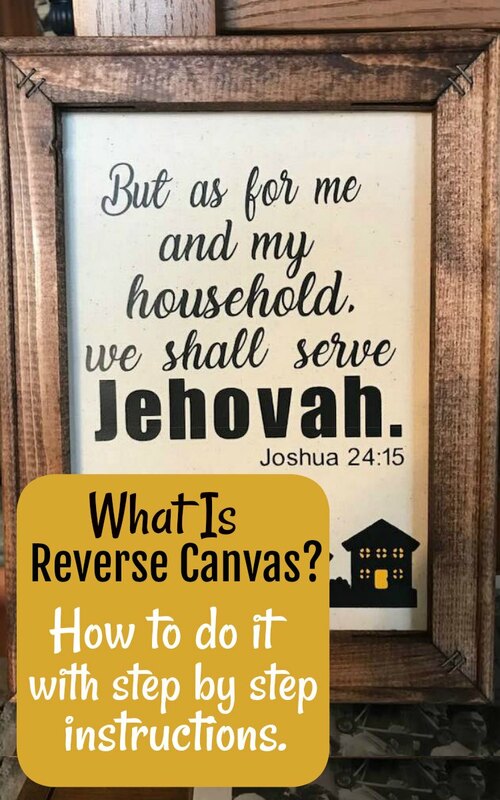 Learn what Reverse Canvas project is and how to do it. Beware…it is addictive! 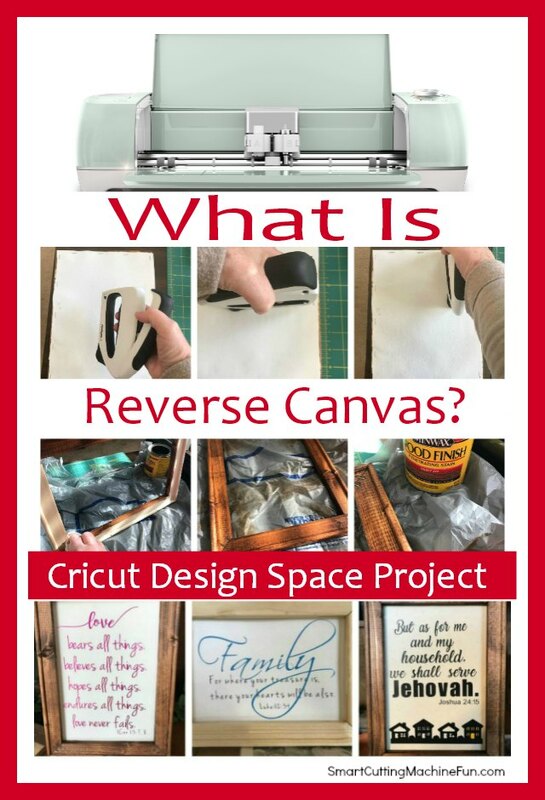 What Is Cricut Reverse Canvas and how can I use it for my Cricut Projects? 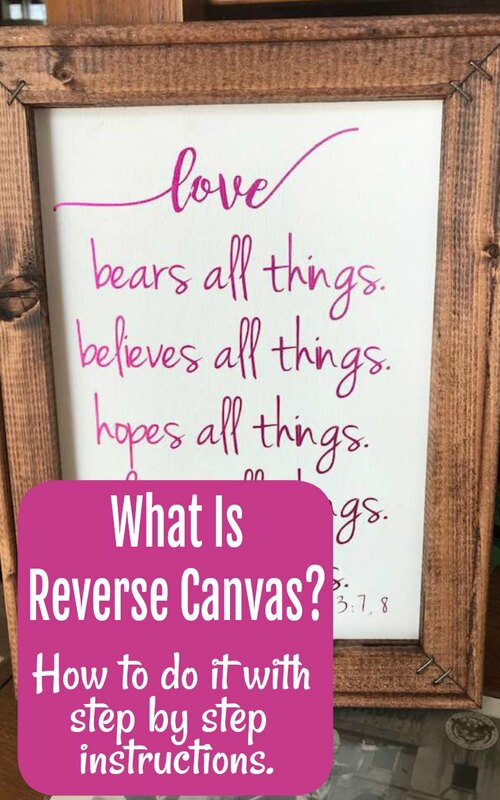 I had no idea what Cricut Reverse Canvas was, but I was seeing this phrase on all sorts of Cricut Projects. So I dug in and found an awesome project idea. 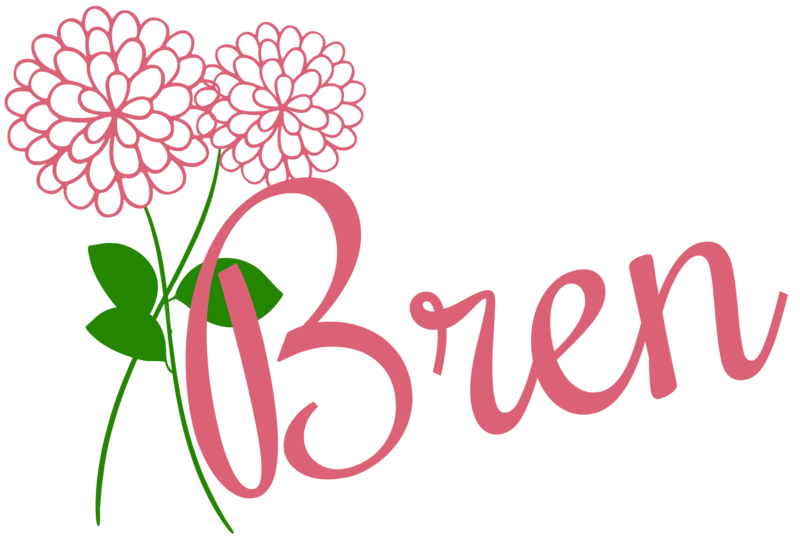 I am always so excited when I see a new project that I can’t wait to try. 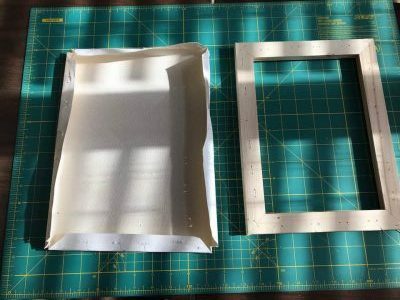 Basically, Cricut Reverse Canvas is taking a canvas apart to create a frame, while still using the canvas. Great idea…right? 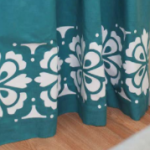 Let me show you what Cricut Reverse Canvas is and how simple it is to do projects with it. 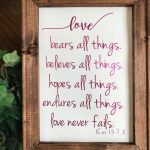 You can learn to do Cricut Reverse Canvas in just a few minutes. You will need a stretched canvas. I buy mine in bulk at Consumer Crafts. Before you buy, make sure the back of the canvas looks like the one above. You can see that the canvas can easily be taken off the back of the frame. See the staples? That’s how you will know. 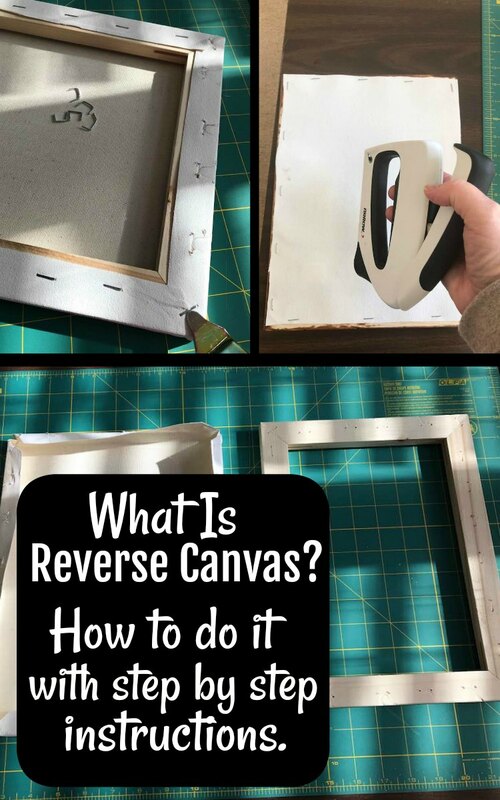 Some canvas is wrapped around the frame making it impossible to do this Reverse Canvas project. So double check before you buy. You will also need a good pair of scissors, a stapler, something to remove the staples with. I bought a stapler remover. You can use a screwdriver, but I found it harder. I kept jabbing myself. You will need to have your HTV ready as well. Yes, I said Heat Transfer Vinyl. You will be ironing your pattern onto the canvas. 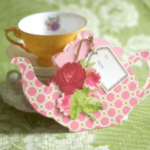 I know…ingenious! You will also need your Cricut Easy Press. Ok…we are ready to find out what reverse canvas is all about! Turn the canvas over and take the staples out of the back of the canvas. Simple enough. Stain the frame or paint it. It’s your choice. I chose a darker stain called Honey. I tried a lighter one, but it didn’t look like I did anything to the frame. Grab a paper towel or a rag, dip it in the stain and rub it on. It doesn’t take long to dry. 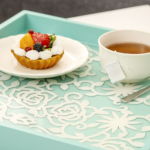 Put your canvas flat on the table with the now dry frame over it. 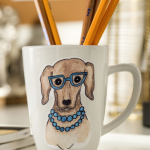 You can do this before you stain the frame too. 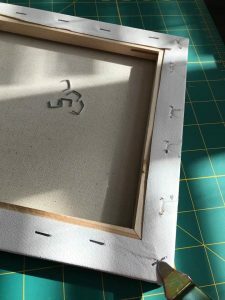 Mark around the outside of the frame so you can cut off the excess canvas. With your scissors cut off the excess canvas, but know that you can always cut more if you need to. Looks good to me. Time to move on to step four. Take your HTV project that you already have cut and weeded, and place it on the canvas. I always put the frame over the project so I can check the placement. 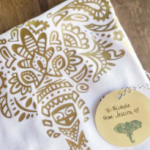 Once you have your project centered like you want, use your Cricut Easy Press to iron the project on the canvas. So simple..right? 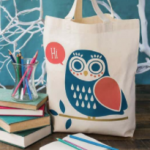 Now it is time to put your Reverse Canvas Projects together. Center your reverse canvas projects under the frame and then gently turn them both over. Now is time to staple the canvas back on to the frame. I tried using just a desk stapler and it didn’t really work, so I bought a bigger stapler. It did the job perfectly. 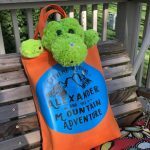 Check Out My Reverse Canvas Projects! I have done 3 reverse canvas projects and I am in love with them. Tell me what you think. 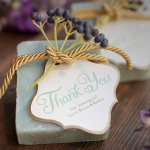 For me, discovering how to do reverse canvas projects were was a dream come true. I wanted framed projects, but I didn’t want to buy the frames. Frames are expensive. 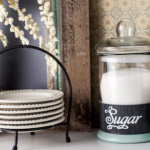 With the Cricut reverse canvas projects, the frames are a freebie with the canvas. I love freebies! 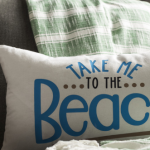 Now…go out there and find out what Cricut Reverse Canvas Projects you want to tackle.